Knowing we were looking for a wood stove for our home, Paul-the-Builder offered us an extra he had stored in his Idaho cabin. 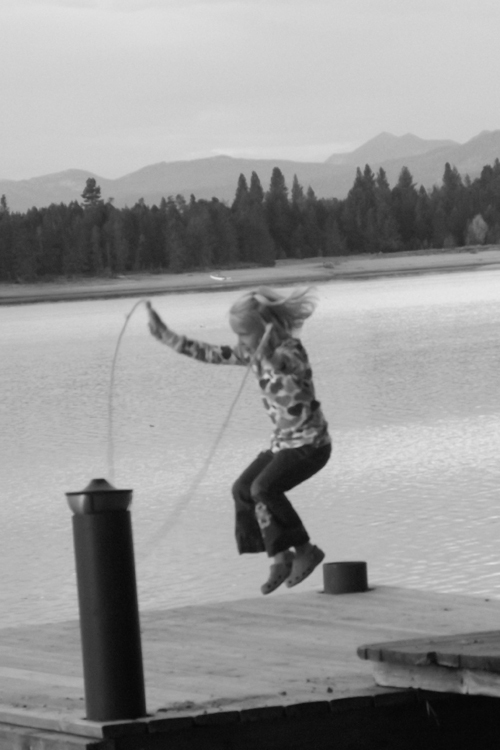 All we had to do was drive up and get it…and enjoy the cabin on Lake Cascade for a few days. We of course took him up on the offer and had a beyond wonderful trip together. Its a little over a 7 hour drive to the cabin, but moments past Park City, the are we there yet? queries began. 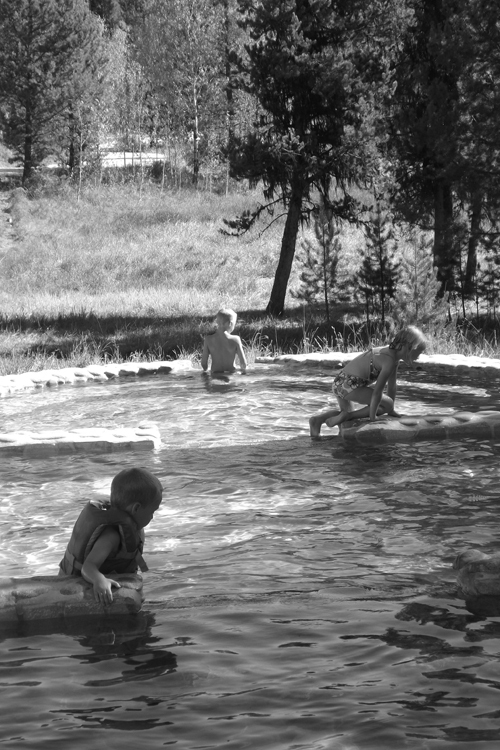 So the designer and I taught and practiced the art of road tripping with the kiddos. 🙂 We read books, enjoyed the scenery, listened to cool tunes, and the kiddos came up with at least 10 new verses of 5 little pumpkins. With the car running once more, we set out to explore the area and enjoy the sites in Donnelly and McCall. 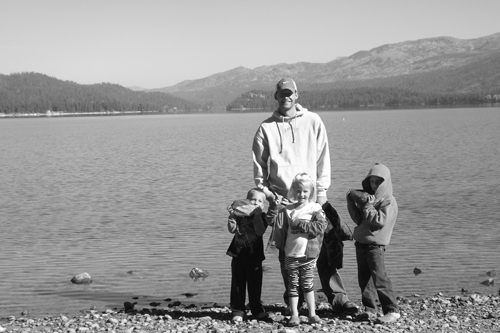 The designer and the kiddos enjoyed skipping rocks on Payette Lake before eating lunch at The Pancake and Christmas House. 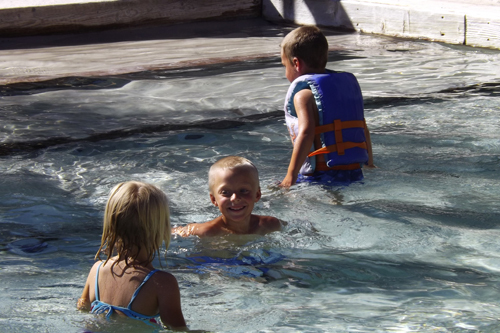 We spent our afternoons at the local hot spring: Gold Fork Hot Springs, which we totally enjoyed…the locals all told us to come back when it is snowing… The kiddos got a kick out of sitting in the lowest pool and having a couple local cows wander on up and enjoy the spring with them. We learned that Idaho is not just serious about potatoes. There were open ranging cattle in much of the mountain areas we explored that weekend. 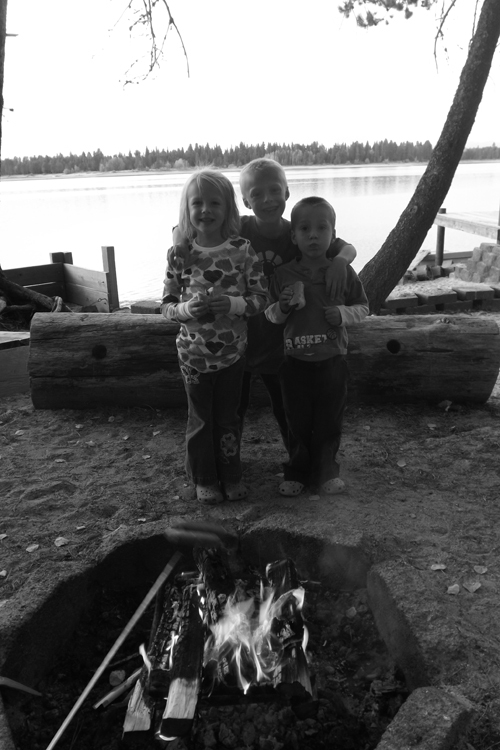 Back at the awesome cabin, we had dinner and smores ’round the fire. 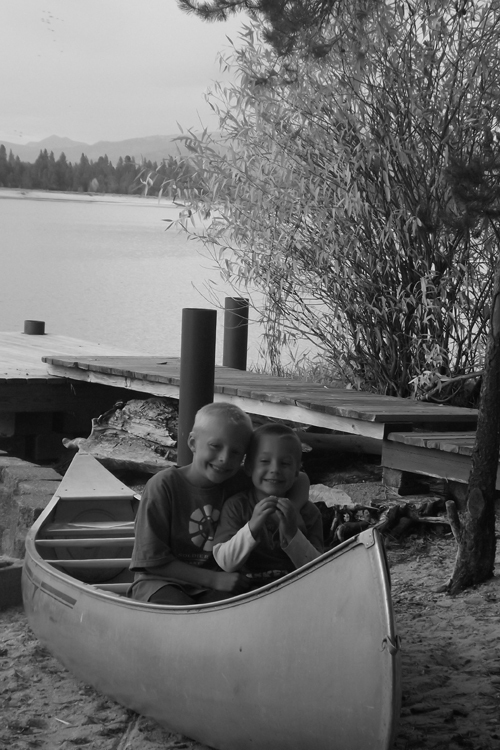 The kiddos loved to play and explore on the dock and all around the cabin. We even went canoeing to the other side of the lake one morning. Found a mother bear and a couple bear cubs’ footprints in the sand…fresh from a couple hours earlier we guessed. New friends that we met at the hot spring let us borrow life jackets…which we really appreciated as we nearly tipped a couple times! It was an extremely peaceful weekend. 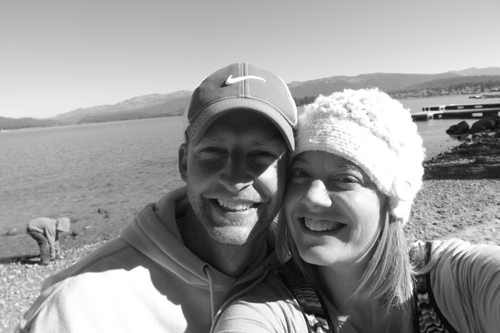 Beautiful area of Idaho, we were betwixt for sure. The locals are very friendly and we enjoyed everyone we met. And the kiddos got to bunk together in a room much like I’ve pictured for them for ages..
Over all it was an incredible Fall Break together and we are so grateful to Paul for letting us enjoy his beautiful cabin (not to mention the cast iron stove which we know we will also enjoy). I totally adore Cascade. It’s one of the places that figures heavily in my childhood and some adult memories. It looks like you experienced the magic, too! Fun! Lovely pics of your lovely family & a real vacation too!